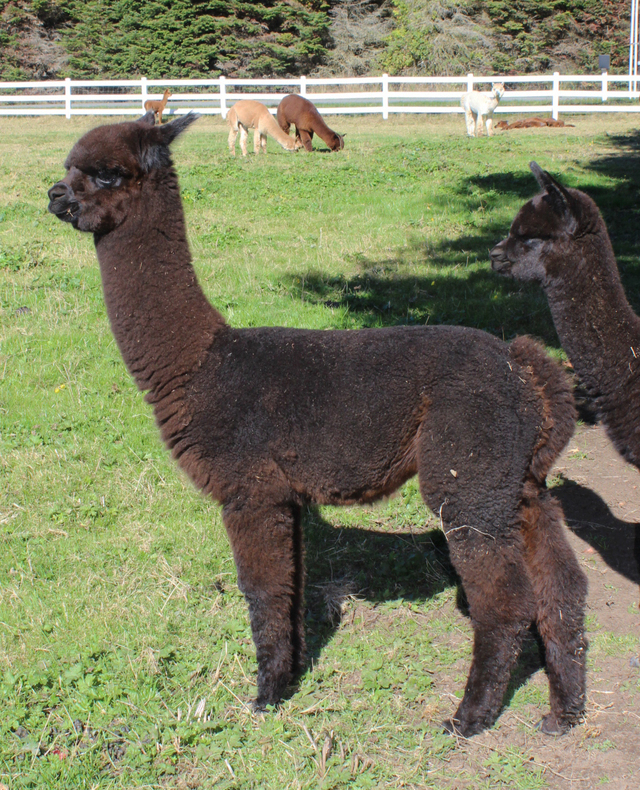 Golden Mist is a beautiful, very solid, proven Champion dam who has produced superior crias. She has Snowmass on her paternal side and Bolivian Mocha as her maternal grandsire. 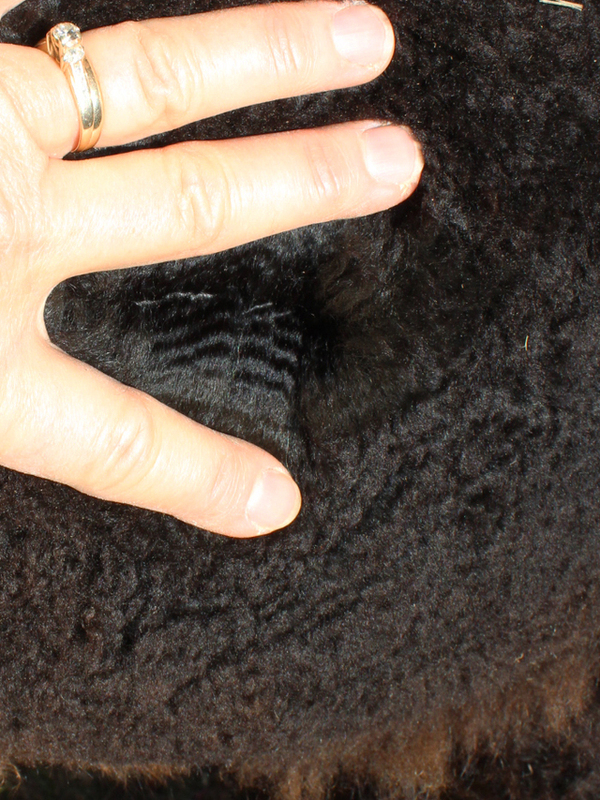 See daughters: Champagne Mist and Velvet Mist, both have exquisite fleeces. 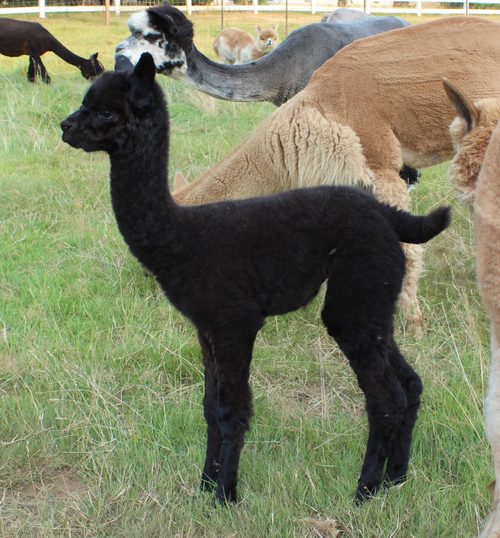 In 2017, she gave birth to a stunning fawn male, "Gabriel", by Irish Meadows Carbon Copy. 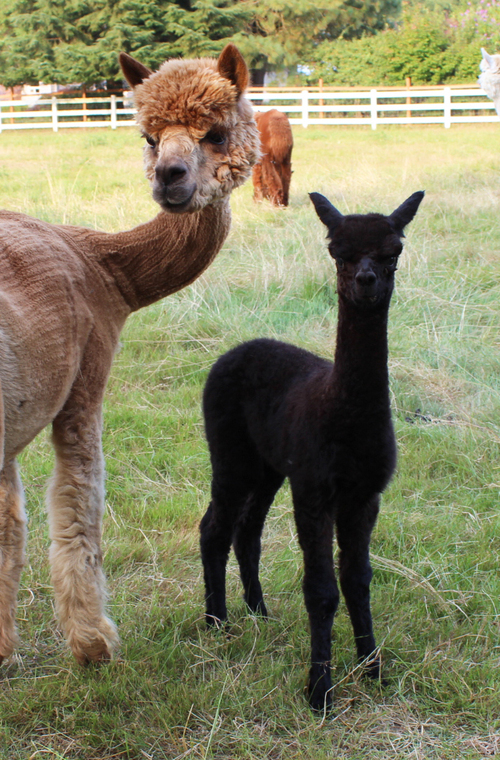 Unfortunately, we lost him as a young cria to illness. She's going to the show. Mostly Snowmass pedigree. Beautiful, typey, very crimpy, very fine, very bright and dense. Both parents are champions. Great potential with this female. 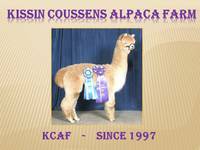 2019 Alpacapalooza - very competitive class of 6; 8 months old.